wager on daily horse races without having to go to the racetrack! Tipsy Tuesdays $2.00 Well shots and drinks. We strive to provide you the best DJ or live entertainment starting at 9 PM! Dance the night away or listen to your favorite music from DJ’s or live bands under our state- of-the-art lighting system. Several times a year we host a variety of special events for your enjoyment. Check our schedule of events as well as Facebook for details. Join us New Year’s Eve, Valentine’s Day, Saint Patrick’s Day, Memorial Day, Independence Day, Labor Day, Halloween, and Thanksgiving for our annual celebrations. The Lodge Sports Bar & Grill can cater to your special event needs. We will make your birthday, engagement, anniversary, bachelor/bachelorette party—whatever the celebration—unforgettable! 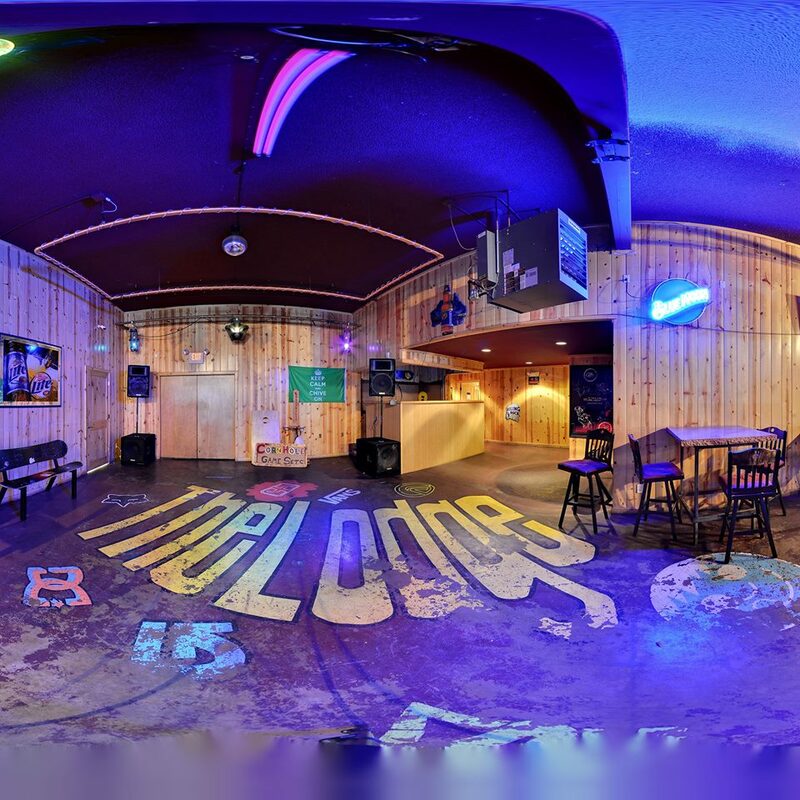 Make The Lodge Sports Bar and Grill your party place! Your locally owned and operated, fun-loving and relaxed hang out. Dance the night away or listen to your favorite music from DJ’s or live bands under The Lodge Sports Bar & Grill’s state-of-the- art lighting system. $1.00 off off all drinks for service and hospitality professionals from 6 to 9 pm. Tipsy Tuesday with $2.00 Well Shots & Drinks all day! $1.00 off a bar-choice draft beer, all other drafts $3.00. $2.00 long necks and $3.00 well drinks. With White Mountain Country Dancers from 7 PM to 8 PM. Great spot for cold drinks and yummy food!! Grilled cheese is amazing! Burgers to die for and yummy wings! You should definitely stop in here!!! The Lodge Sports Bar & Grill hosted our business event last night—DIY SEO for the Small Business—and it was a great success. We had ten local business owners (or wannabe business owners) join us to learn how to put search engine optimization to work. While it is a sports bar, we were provided with a dedicated area, a mic, and even a presentation screen. What’s more, all proceeds were donated to @petallies, providing much-needed funding for a well-deserving organization. Thank you, Pam Arlaud, for putting this together and allowing Spider Trainers to participate! Such a great and innovative place to eat and drink! Always a great time at The Lodge! First time there. Had a great experience, great food and staff was awesome, wish I could remember our waitress name cause she went above and beyond to make sure we were taken care of. Being from Southern Cali We stopped to visit a Marine Brother Eddie. We definitely will be back. Thank you. Love this place! Whenever I’m in the White Mountains I am sure to stop in. Great vibe, good service and fun times! Awesome time with this very fun crew. Loved the atmosphere and Trevor was amazing with his keylime pie shot. We will definitely be back to hang out and enjoy this friendly establishment. BTW food is great as well! Thank you for having fun with us. This place is fun and important! Jam Nights every Wednesday eve are amazing and life-changing, the dj dance party last Saturday was hoppin’, and we’re just getting started! A key place for music and culture on this Mountain!